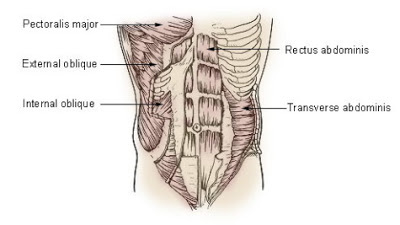 Rectus Absdominis muscle is what we call as the Abs muscle, these are parallel muscle connected by a midline linea alba tissue. To make this muscle visible, we have to reduce the belly fat. People with low body fat will have this muscle visible though they didn't do much Abs workout.That's why we say that Abs are made in kitchen. The number of packs six or eight or even ten depends on genetics, but six pack is common for all. Lunch - Boiled chicken breast pieces,boiled egg white with vegetables like onion,carrot,cucumber etc. which burns fat and reduces weight. After 2 hours - Fruit Salad, mix of papaya, guava, watermelon, grapes etc to get all essential vitamins and minerals. Dinner - Any fiber foods likes chappati or wheat bread with peanut butter of cheese. After each and every meal, have three glass of water. Minimum you should have 4-5 ltrs of water in day to increase body metabolism and burn more fat. There are many different diets all focuses on cutting fat and carbs to make muscle visibility clear. Join the best gym near you and start following diet suggested by your gym master. Next is Workout. Below are the list of all Abs workout followed till now. Morning will be the best time to do Abs workout in an empty stomach. You don't have to do all above workout in a day, you need to select any five exercise training both rectus abdominis and serratus in day. Try to do each exercise 5 sets with 20 reps.When you follow the diet and do exercise regularly, your skin will be ripped and once your fat level is 6-8%, you will see your six abs or 8 packs for some as per body structure. And for Women, Abs will be seen once the body fat is 11-13% Six Abs looks differs as per your body structure such as Mesomorph, Ecotomorph and endomorph. Its not possible to develop 8 packs if you already have six packs since its internal structure can't be made. Maintaining six pack is the toughest job than developing it. Need to follow regular proper fat less diet and workout must. Beside having best look with six packs, there are some issue you need to face while maintaining it. Personally you will feel stressed while following the diet,internal organs will have some health issue when fat is less than 10 percent if you miss any essential supplement and doctors suggests that there will be breathing problems if the abs are tight and rib cage can't expand much. I personally suggest to develop and maintain six pack only for a period if you are going to participate any competitions or any modelling works, otherwise you don't have to strictly follow six pack diet rather you can maintain a lean abs and perfect fitness look. 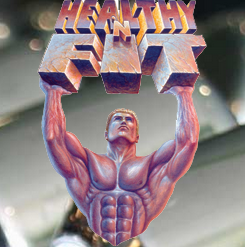 Stay Fit and Healthy For Ever! !